Year 5 are currently enjoying 'learning life skills through golf' on a Friday afternoon delivered by Paul O'Donnel (Pro). 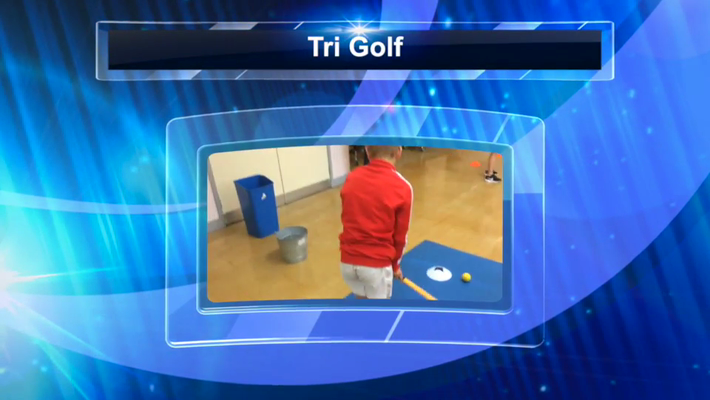 The children are learning all about the sport and are working in teams to design their own Tri-Golf games using the different skills involved in golf. They plan, prepare, deliver and then evaluate their games in order to help them develop their own life skills through the sport. This has been planned to be delivered at the start of the year as it is part of our work this year to improve teamwork and building confidence in upper key stage 2. The children are working in teams and learning to value each other's ideas, listen and co-operate well with each other in order to deliver an excellent game to their class. Please look at the Y5 class page for updates on this fantastic module taking place this half term.